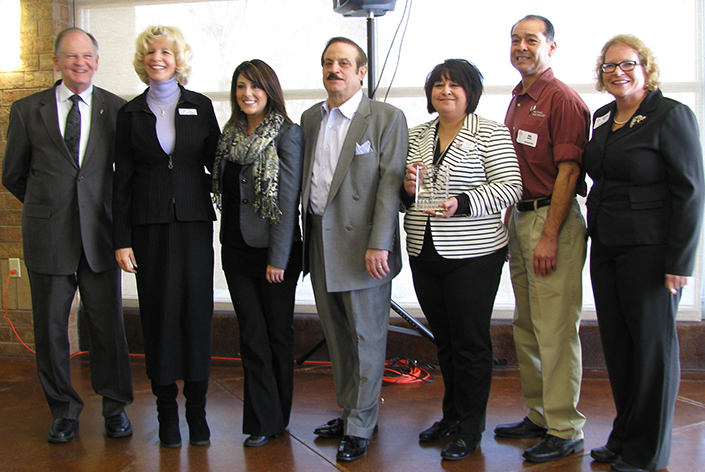 Pueblo City employee Eileen Boughton, Terry Baughman, Beth Gladney and Board member April Kasza at the January 2015 meeting. 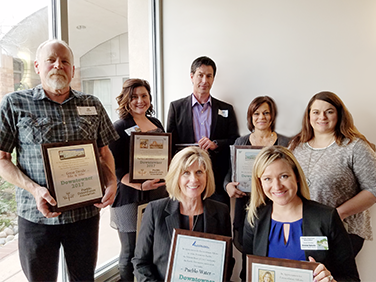 The 2013 Downtowner Awards were presented to Gerry & Diane Montgomery for Montgomery & Steward Funeral Directors, Kristi Alfonso, Louie Carleo, Jeanne Santillanez, Ray Romero and Julie Ann Woods at the January 2014 meeting. 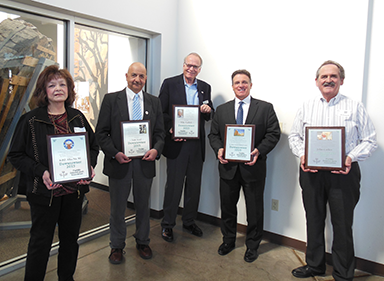 Current and past winners of the Downtowner of the Year Awards presented by the Pueblo Downtown Association.